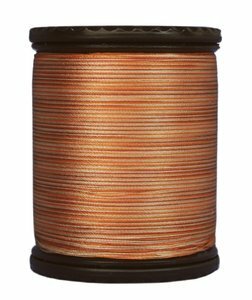 Superior Tiara Variegated Silk #50/2-ply Filament Silk thread. Designed for Quilting and Decorative Stitching. 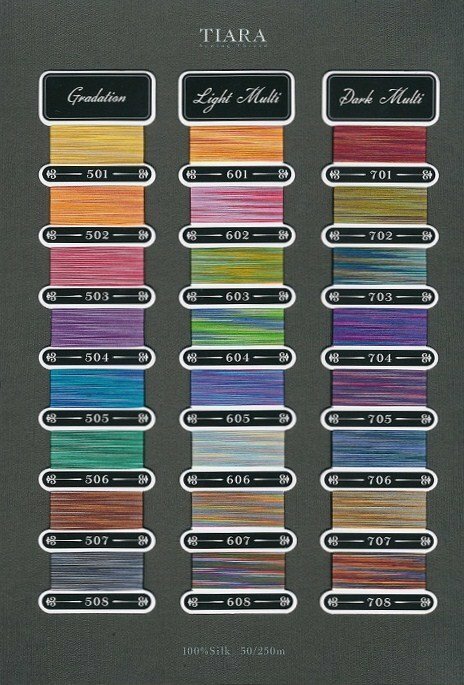 Enjoy natural sheen with Tiara Variegated Silk for quilting and decorative stitching. Tiara Silk has a naturally bright and bold luster, combined with an extremely smooth finish. Available in 24 variegated colors. The variegated colors change every inch. #50 TIARA variegated filament silk. #501. 273 yds. #50 TIARA variegated filament silk. #502. 273 yds. #50 TIARA variegated filament silk. #503. 273 yds. #50 TIARA variegated filament silk. #504. 273 yds. #50 TIARA variegated filament silk. #505. 273 yds. #50 TIARA variegated filament silk. #506. 273 yds. #50 TIARA variegated filament silk. #507. 273 yds. #50 TIARA variegated filament silk. #508. 273 yds. #50 TIARA variegated filament silk. #601. 273 yds. #50 TIARA variegated filament silk. #602. 273 yds. #50 TIARA variegated filament silk. #603. 273 yds. #50 TIARA variegated filament silk. #604. 273 yds. #50 TIARA variegated filament silk. #605. 273 yds. #50 TIARA variegated filament silk. #606. 273 yds. #50 TIARA variegated filament silk. #607. 273 yds. #50 TIARA variegated filament silk. #608. 273 yds. #50 TIARA variegated filament silk. #701. 273 yds. #50 TIARA variegated filament silk. #702. 273 yds. #50 TIARA variegated filament silk. #703. 273 yds. #50 TIARA variegated filament silk. #704. 273 yds. #50 TIARA variegated filament silk. #705. 273 yds. #50 TIARA variegated filament silk. #706. 273 yds. #50 TIARA variegated filament silk. #707. 273 yds. #50 TIARA variegated filament silk. #708. 273 yds. 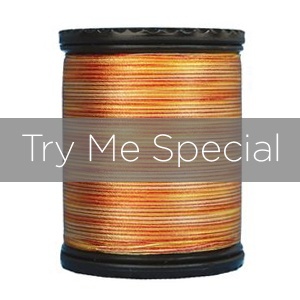 #50 TIARA Try me variegated filament silk. 273 yds.